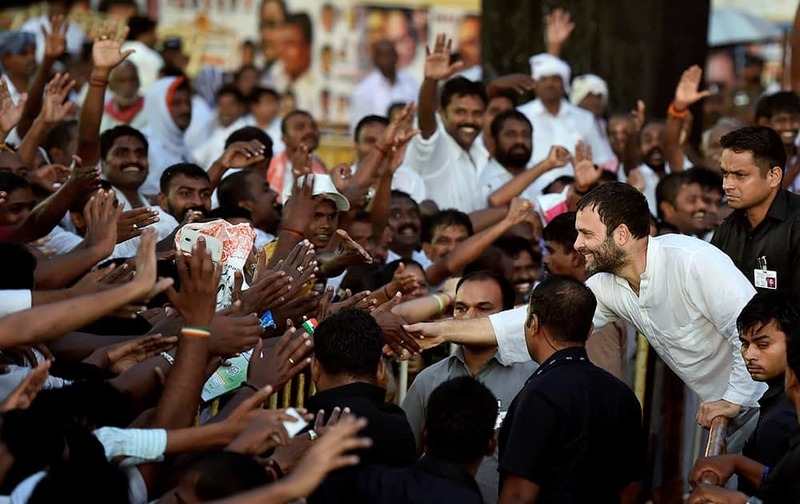 Congress Vice President Rahul Gandhi meeting people at a rally in Tiruchi. 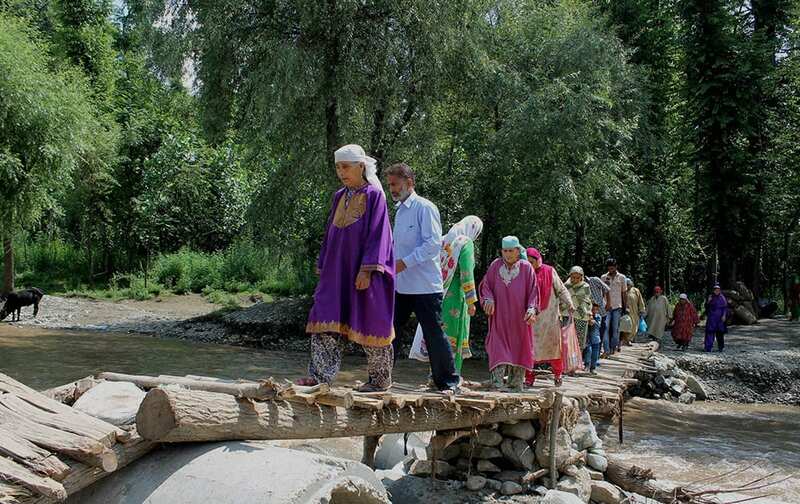 Villagers cross Chandri river using makeshift wooden bridge at Chandrigam in south Kashmir’s Pulwama district. The concrete bridge and some other foot bridges on the river have been washed off by cloudbursts and floods. 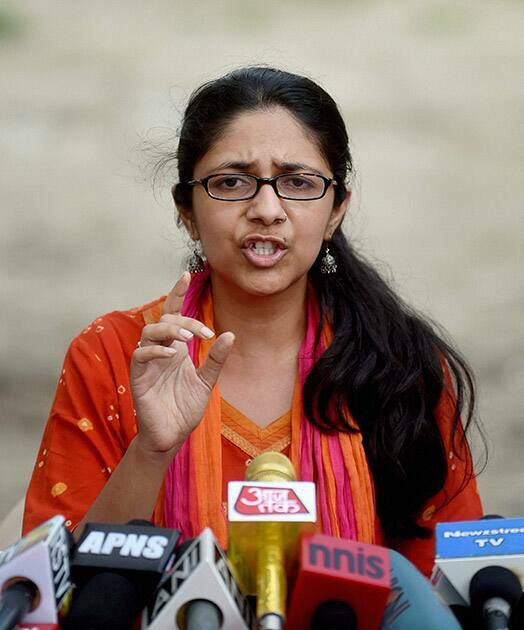 The new chief of Delhi Commission of Women, Swati Maliwal addressing a press conference in New Delhi. 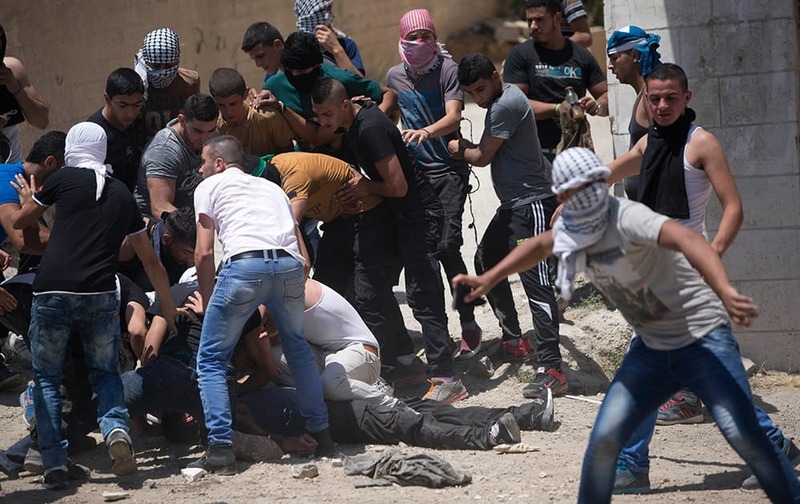 Palestinians carry a youth injured from live bullets fired by Israeli soldiers during clashes after the funeral of Falah Abu Maria in the village of Beit Omar near the West Bank city of Hebron. 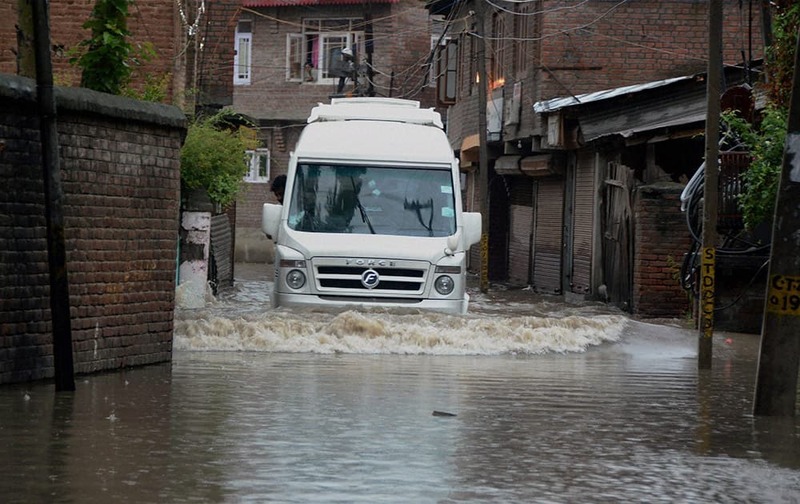 A vehicle moves through a flooded road after heavy rains in Srinagar. 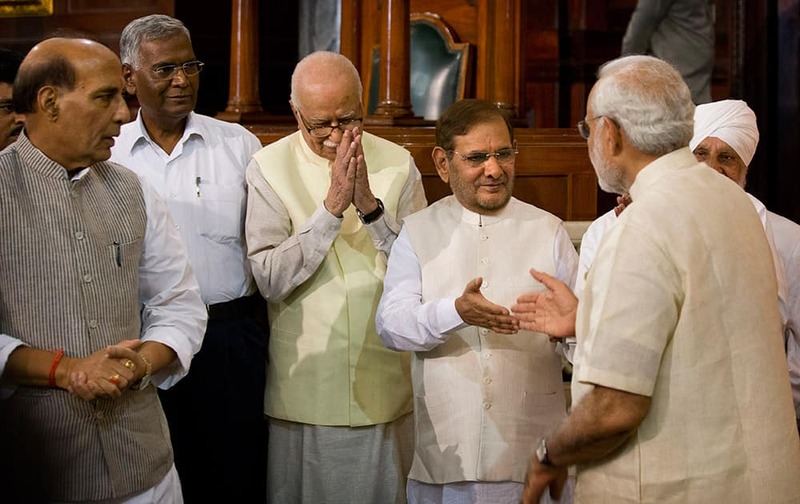 Prime Minister Narendra Modi, greets Janata Dal party leader Sharad Yadav as Indian Home minister Rajnath Singh, left and Communist party of India leader D. Raja, second left watch and Bharatiya Janata Party senior leader L.K. Advani, greets during the function to pay floral tributes to Bal Gangadhar Tilak in New Delhi. 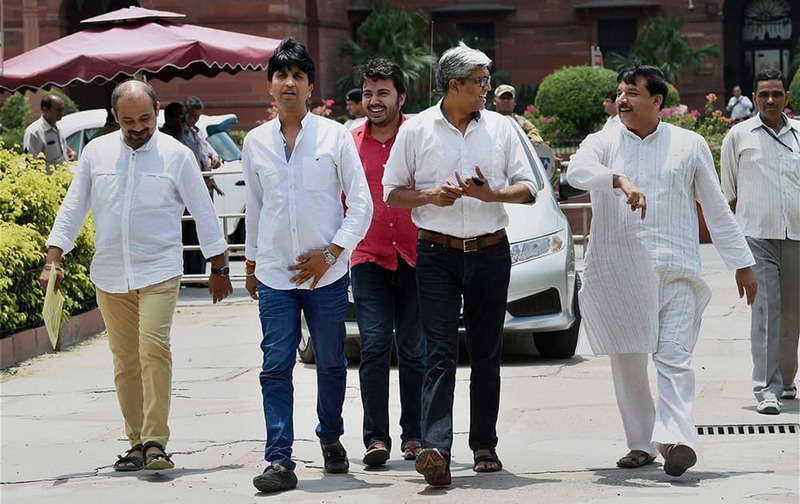 AAP members Sanjay Singh, Kumar Vishwas, Ashutosh and Dilip Pandey arrive at Union Home Ministry to complain about beating of AAP volunteers by police outside Anand Parbat PS. 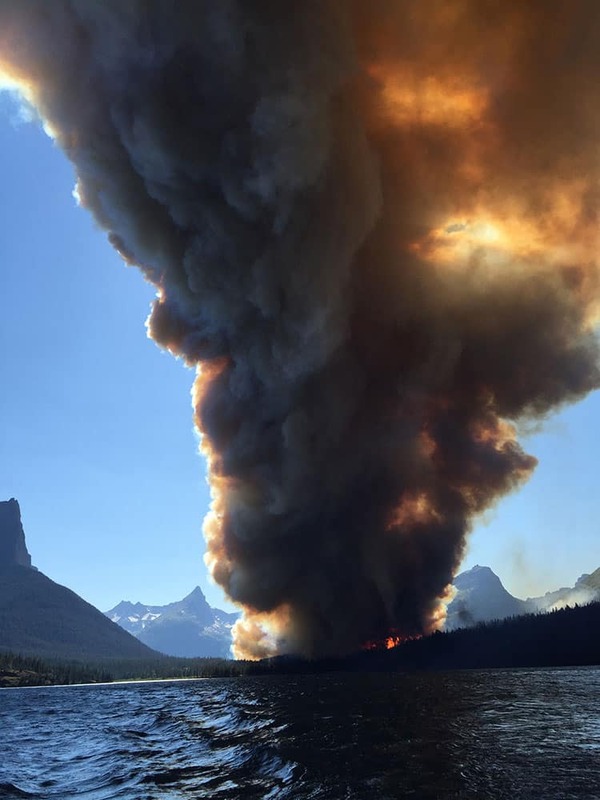 smoke from the Reynolds Creek fire rises above the landscape at St. Mary Lake in Glacier National Park, Mont. State Rep. Jenny Eck, who was hosting a delegation from Australia on a tour of the park, took this photo of the fast-moving wildfire. Canada's Sarah Wells gestures to a camera after the final of the women's 400 meter hurdles at the Pan Am Games in Toronto. 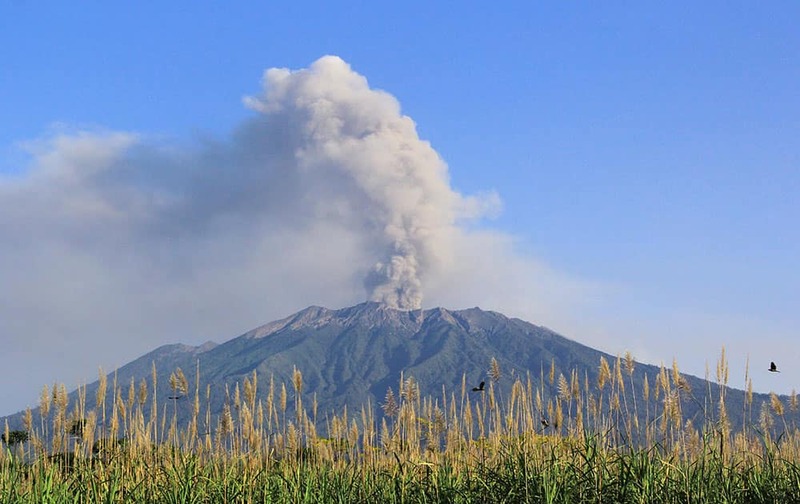 Mount Raung spews volcanic material into the air as seen from Songgon, East Java, Indonesia. 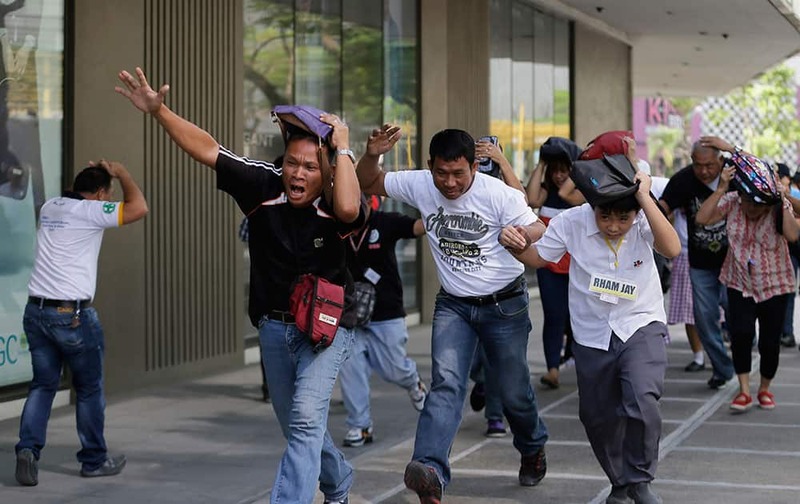 People rush to safety as they simulate a powerful earthquake during a nationwide drill at a commercial center in suburban Taguig city east of Manila, Philippines. 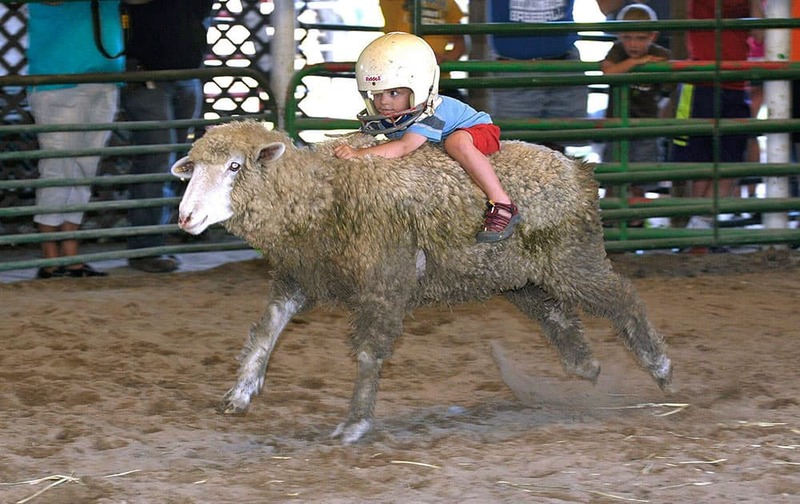 August Ballard, 3, of Columbus Junction, Iowa, holds on to a sheep during the Mutton Bustin completion at the Louisa County Fair in Columbus Junction, Iowa. 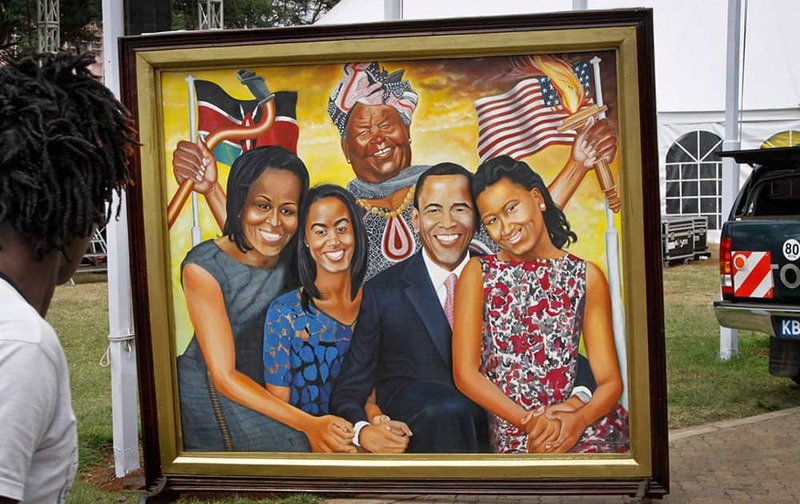 A painting depicting the Obama family and step-grandmother Sarah Obama above, stands outside an exhibition about the Global Entrepreneurship Summit which President Barack Obama will attend later in the week, in Nairobi, Kenya. 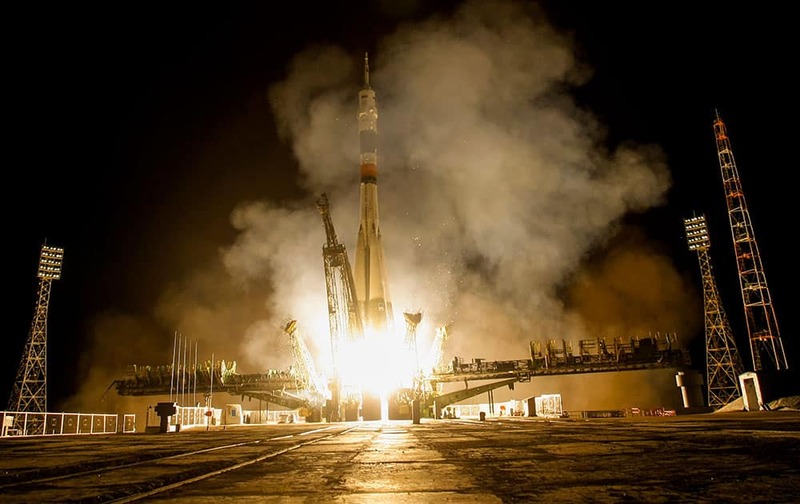 The Soyuz-FG booster rocket with the space capsule Soyuz TMA-14M is launched to the International Space Station from the Russian leased Baikonur cosmodrome, Kazakhstan. 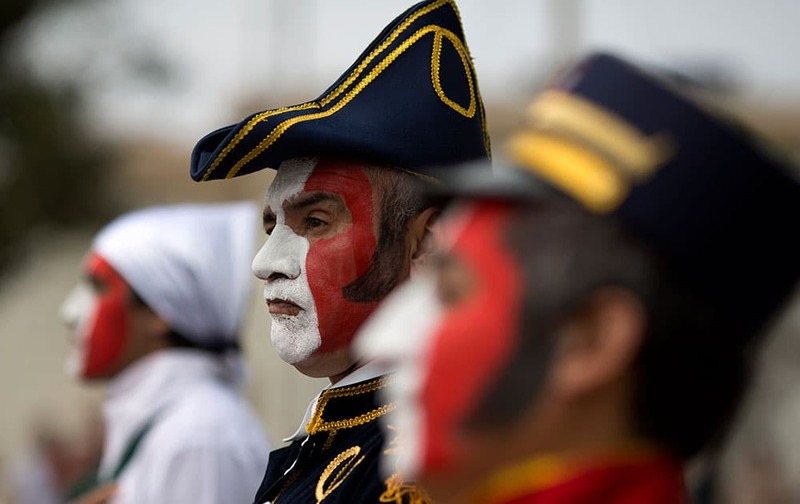 A patient from the Larco Herrera Psychiatric Hospital wears a costumes in the likeness of Peru's Independence hero Don Jose de San Martin during the hospital's Independence Day parade in Lima, Peru. 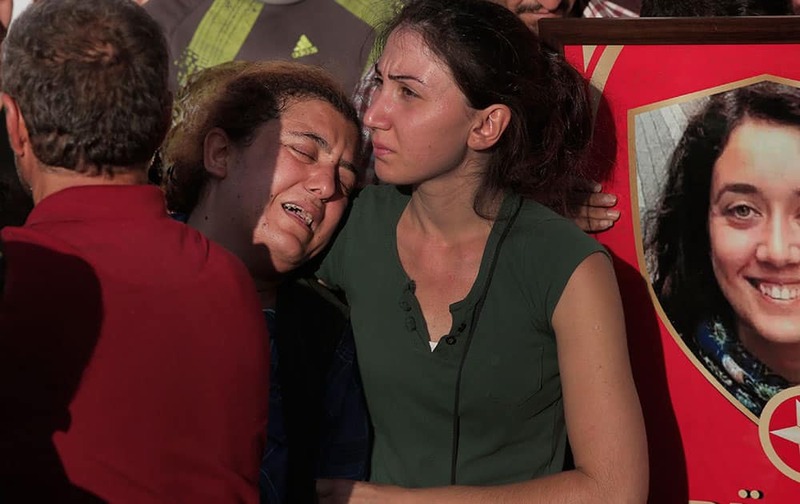 A mourner cries during a funeral in Istanbul, for three of the victims of an explosion Monday in the town of Suruc, southeastern Turkey. 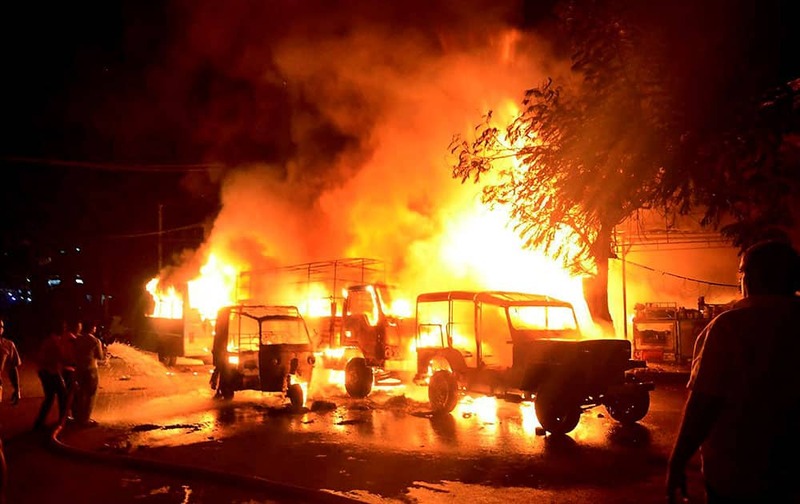 Fire workers at work after a cylinder blast at hotel in Rajahmundry in Andhra Pradesh. 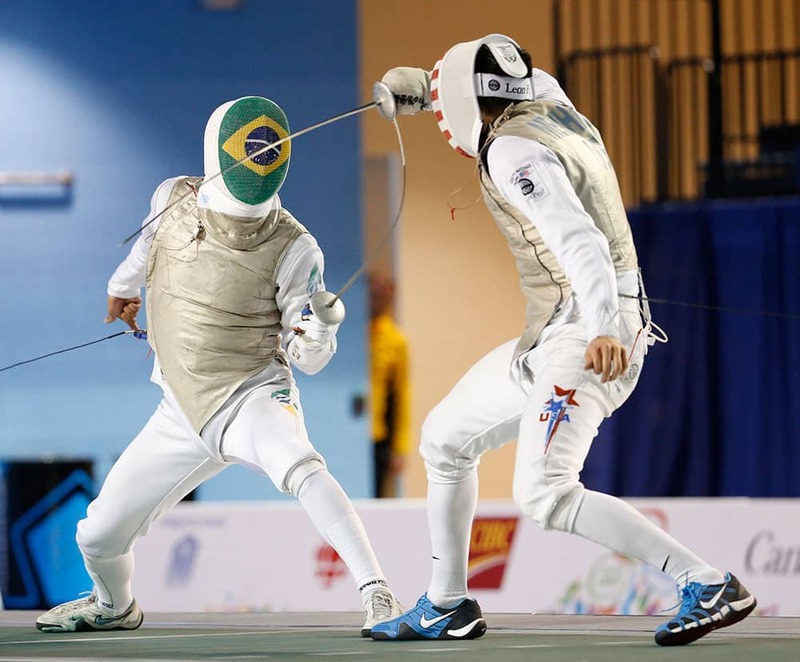 United States' Gerek Meinhardt, left, competes against Brazil's Ghislain Perrier in a men's foil individual semifinal fencing match at the Pan Am Games, in Toronto. 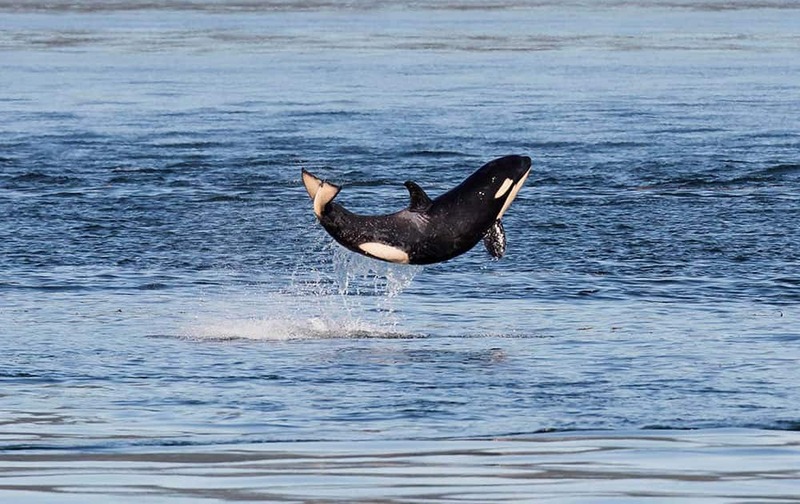 a baby orca leaps out of the waters of Haro Strait between islands in British Columbia and Washington. 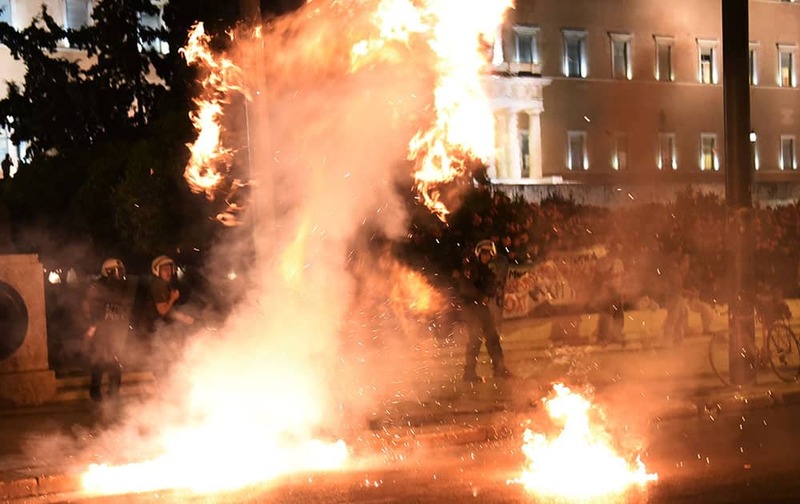 Riot policemen try to avoid a petrol bomb thrown by anti-austerity protesters during a rally outside the Greek Parliament in Athens. 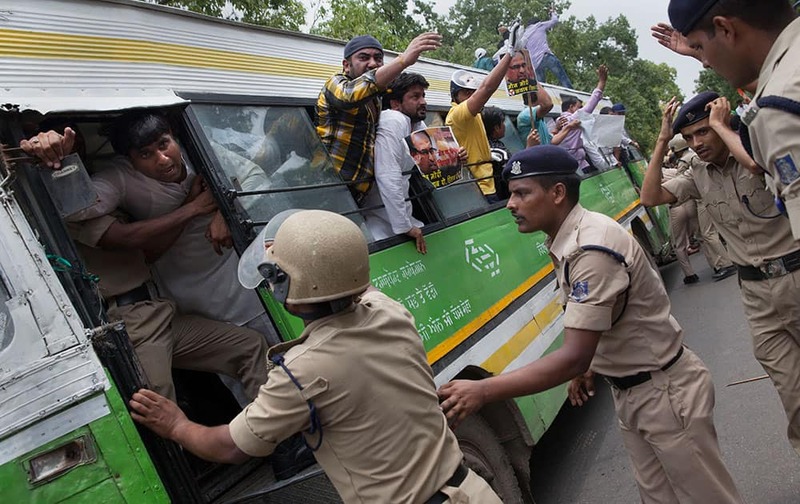 Activists of India's opposition Congress party's youth wing shout slogans as they are detained by police during a protest in New Delhi, India.